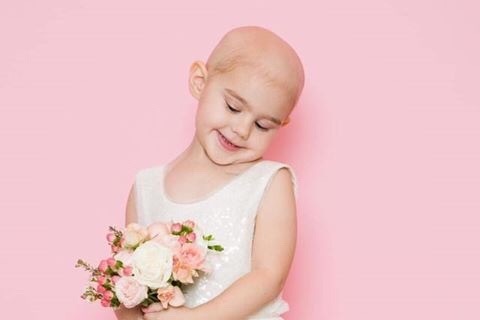 Azalea Coolidge was originally diagnosed with Stage 4 High Risk Amplified Neuroblastoma on March 7, 2017 at the age of two years old. Azalea had gone through six rounds of high dose chemotherapy, multiple port and central lines placed and replaced, chest and abdomen drainage tubes, so many PICU and inpatient stays we’ve lost count, blood and platelet transfusions, serve mouth sores, hair loss, vomiting, a 12 hour surgery to remove her 6 inch tumor from her abdomen, two weeks of back to back sedated radiation sessions, five rounds of painful 3f8 immunotherapy treatments, and only had one last injection of the vaccine trial to complete when she relapsed on October 19,2018. Azalea had been clear of cancer a little over a year before a new spot was detected on her right arm. To hear the words your child has relapsed is almost more devastating than hearing they were diagnosed with cancer in the first place. Just imagine watching your child fight for their life, having poison pumped into their little bodies, watching them lose weight from puking all day, playing with their hair as it falls out in your hands, watching them not be able to walk, having them be put on ventilators and sedated for weeks at a time, watching them scream for your help as they are having needles inserted into their bodies, looking into their tired eyes and knowing they want to give up. This is only a tiny glimpse at what these kids go through. Then you finally get the news that your child is clear of cancer only for it to return a year later. Your baby, your whole world has to fight through all of this again. As a parent it kills your soul and rips your heart out. It’s pure torture. To say we are devastated is an understatement. Our beautiful almost four year old little girl now has to endure more excruciatingly painful treatments in hopes that it will save her life. Azalea is being treated at Memorial Sloan Kettering Cancer Center in NYC which specializes in Neuroblastoma. Relapse is something that our family was not expecting and was not financially prepared for. All funds raised will go towards transportation to and from NYC, lodging, food, drinks, unforeseen medical expenses not covered by insurance, household items while staying in NYC, and any trips or surprises to brighten Azalea’s day. We can’t even begin to express how horrible childhood cancer really is. We are going to do everything in our power to save our daughters life. Please find it in your hearts to help us, either by donating, sharing, or praying for our girl. Every penny and every prayer counts. We appreciate it more than words can say. For more updates on our daughter we’d love for you to follow Azalea’s Fight on Facebook.